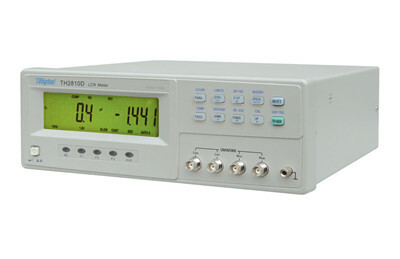 TH2810D LCR meter is our newly developed successor instruments for low frequency component measurement. TH2810D with its latest measurement technologies, large character LCD display, surface mount technique, easy use and excellent appearance can be used for quality control on production line, incoming inspection of components and automatic test system. The RS-232C interface can be used to carry out remote control and statistics and analysis of measurement results.The LCR Meter can be used to This LCR meter can be used to measure TECs (Thermoelectric Coolers),TEG, ACR (Alternative Current Resistance), which is directly related to health strength of the TEC, as well as the resistors, capacitors, inductors.